The explanation Tony gave it, was that we can’t act if we associate this action (or its consequences) with pain, and also, if we don’t act, it means there is pain association there, otherwise we would act (speaking about the actions we think we should perform) (maybe we shouldn’t perform them, that’s another story :)). So the exercise is: first, to find out the associations that already are in place: the pain associated with the action, and the pleasure, associated with not acting. Then to do the next stage (are we deliberate creators, after all :)) and find out, which pain we could find in NOT acting, in staying where we are, and which pleasure we can find in acting and/or its consequences. Feeling especially good, as that exercise is very effective! Shifting to truly feel differently, rising a step. 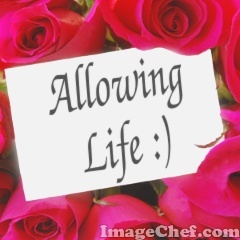 Feeling good, becoming aligned, feeling satisfied with how all things have been, meeting answeets, fun! Tony said to create the last list (with the pleasure from acting) really long. :) But actually, I started to write and it was hard to stop!